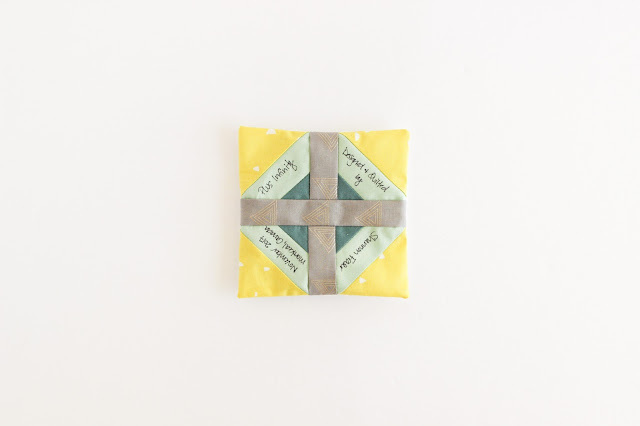 Have you ever held a quilt hostage? Gifted it and then said “oh, you can’t have it quite yet”?! 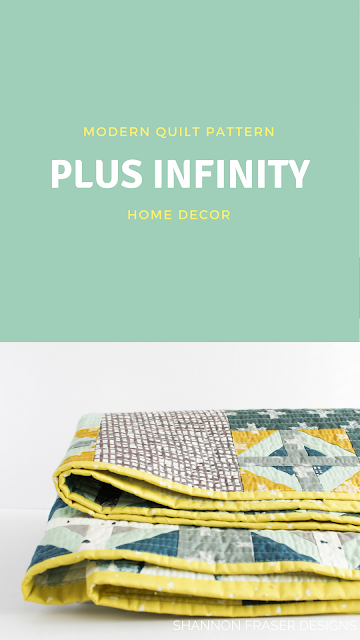 I did just that with this Heartland Plus Infinity Quilt when I gifted it to the hubz this past Christmas. To make matters worse, this was a quilt I made for him since his blue Dresden Plate quilt is still a WIP (an anniversary present I’ve been working on since 2015 – but in all fairness, I am hand quilting the whole thing, so…) and I had intended to make him a quilt using these fabrics back in 2016 but wound up on bed rest. The fact that it’s Easter this weekend and April is finally making its appearance (and hopefully bringing warmth and sunshine with it), I figured it was high time I get this beauty shared with you, so I can officially gift her! It’s ALL about priorities 😜! 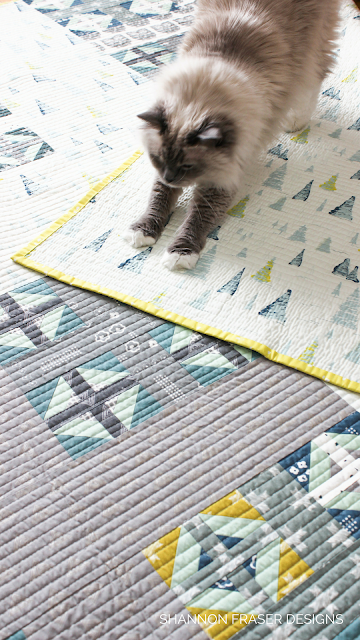 Now that I've handed her off, I can focus on my other quilt projects while I ponder the things I love about quilting - like the versatility it offers. Who doesn’t like options, right?! Take patterns as an example. 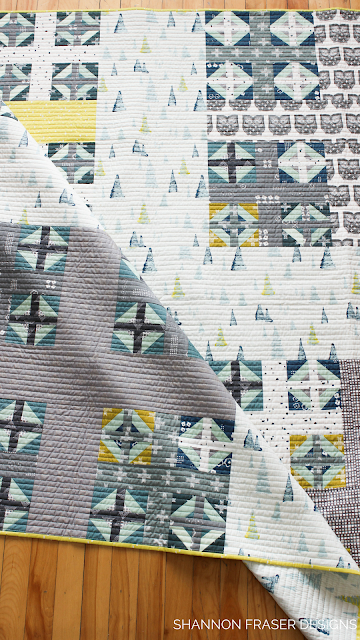 Everyone has their own take on what colours and prints they want to work with, which entirely changes the look and feel of a finished quilt. 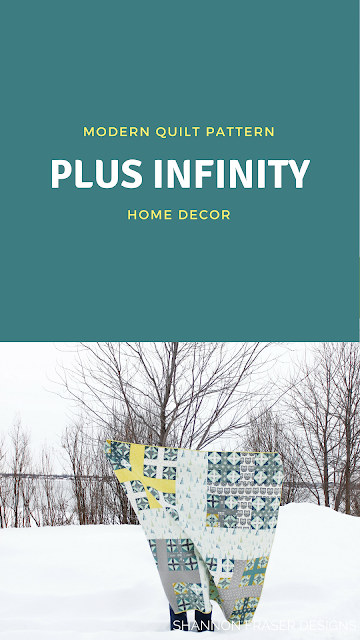 While designing my Plus Infinity quilt, I had some fabric leftover from my stop on Pat Bravo’s Heartland blog hop and thought the Scandinavian design prints would be a perfect fit for the geometric nature of the quilt pattern. I adore the simplicity of Scandinavian style and he loves owls and clean lines, so I thought it would be the perfect combo. Plus, it was giving me the chance to see how different the fabrics themselves look when paired with a different pattern. Compared to this one which features all prints with a soft minty green as the background. 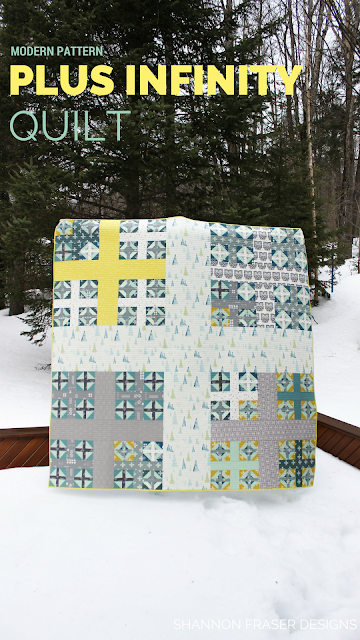 Another great example of different interpretations of quilt patterns was the variety of looks my pattern testers came up with while testing my Reverberance quilt. You can check that out here. Although this makes a generous throw size quilt (63" x 63"), the piecing doesn’t take that long. 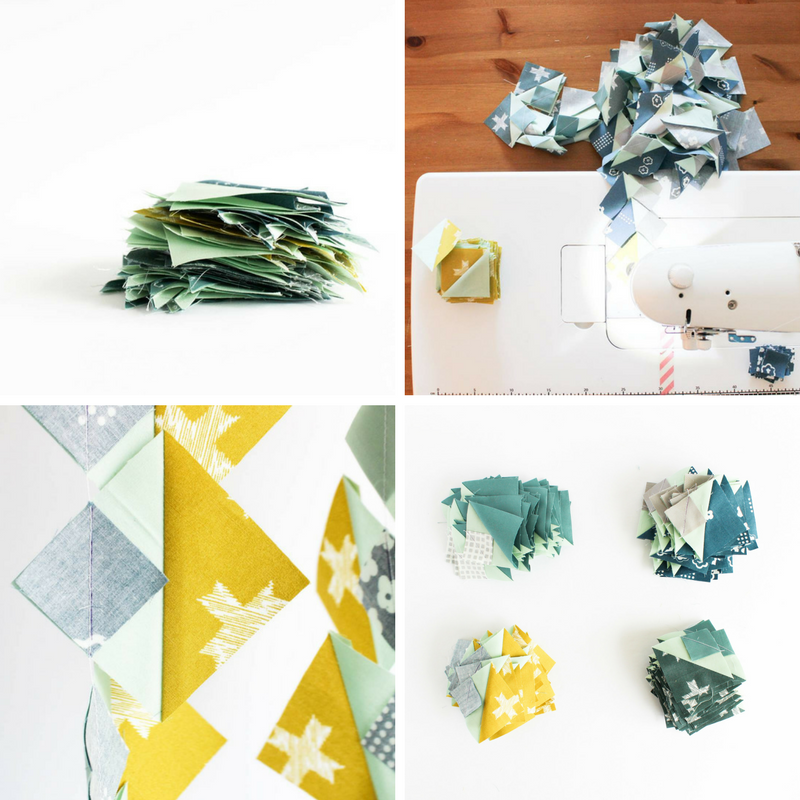 There is lots of chain piecing involved, so if you have your cutting done at the outset, it comes together really quickly. And makes for a great opportunity to catch up on some of your favourite podcasts, binge on Netflix or listen to an audio book. The longest bit, at least for me, is squaring up all those half square triangles. 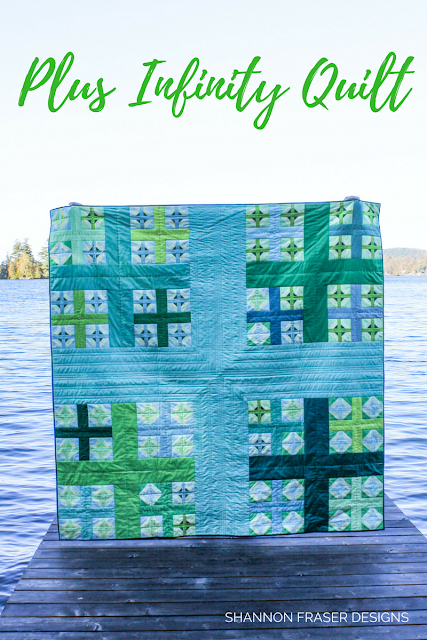 Check out this tutorial on how to square up HST quilt blocks if you need tips on how to do that (it stumped me when I first started quilting 😉). Actually, scratch that, the longest bit was the matchstick quilting I opted to go with. 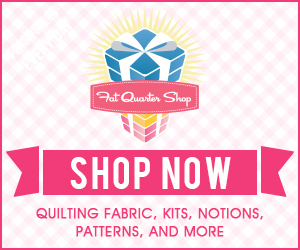 I love straight line quilting and I’ve been meaning to do matchstick quilting on a larger project. I will forewarn, this is not for the faint of heart. It’s not complex. It’s not even challenging (well, once you get good at keeping those lines straight – plotting your lines with a hera marker helps 😉), but it is time consuming. Like, catch-up on a whole audio book time consuming!! It took many sessions to get her done, but the look it gives and the FEEL of her is just amazing and worth every minute I spent at the machine. 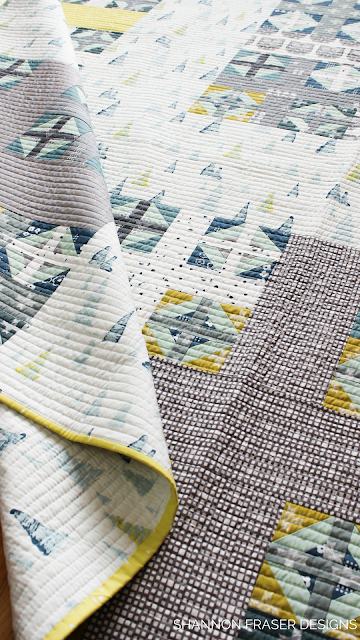 This quilt reconfirms that design really is in the details and spending time getting those details right is SO worth it. Did I mention how amazing she feels?! I could snuggle under her for days and was thankful for the time I spent under her while storms were raging outside as I sat hand binding her over the holidays. And this cute label? 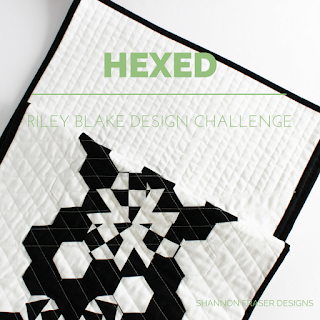 This was leftover from the test blocks I made while finalizing the pattern. You never know when those orphan blocks will come in handy! 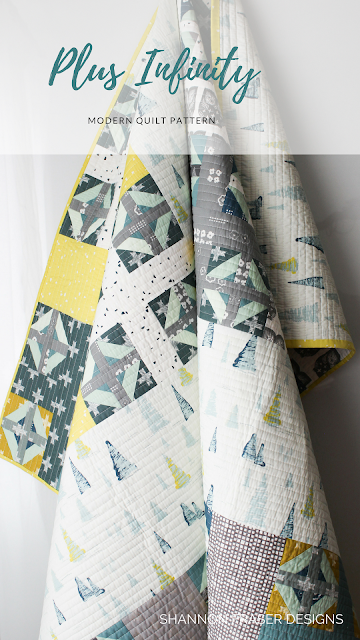 Here’s a quick tutorial on how to make your own quilt labels. 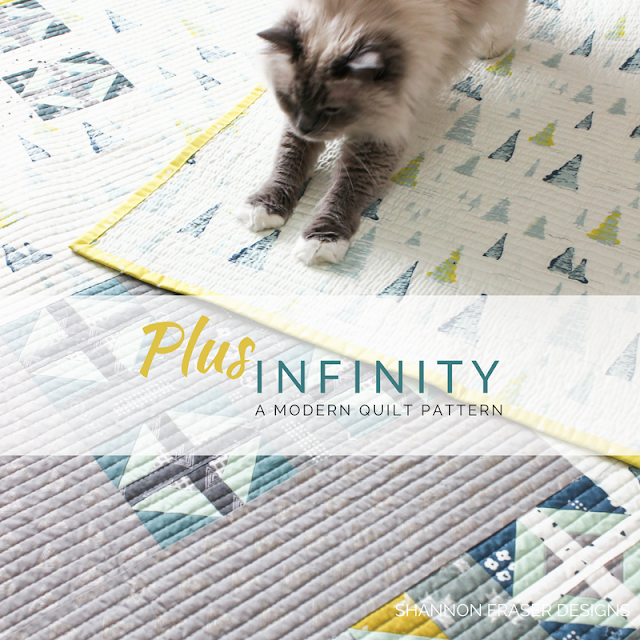 What’s particularly fab about this colourway is that Pips blends in with the fabrics! Less evidence of all that fur that will 100% end up ALL over the quilt!! 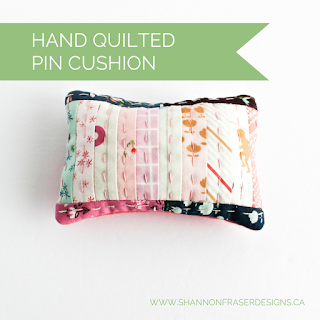 I really like this version - the colours are fabulous and your quilting is just perfect for it. Thanks, Izzy! This one definitely has a Scandinavian design vibe to it with those softer tones! Thrilled you like it!